Four years back, when I enabled SSL Certificate in Exchange Server 2003, I got calls from my friends, that Exchange OWA was not working, Is the “Exchange Server Down” ?. Apart from this, my Boss asked me that, why not configure OWA to simply type, mail.msserverpro.com instead of typing https://mail.msserverpro.com/owa . It would easy for end users when they access Exchange OWA. At the time, it took me one week to implement as such. Through this article, I am sharing my four years experience to my friends, which will be very helpful in the future. Here I will repeat this configuration in Exchange Server 2010. 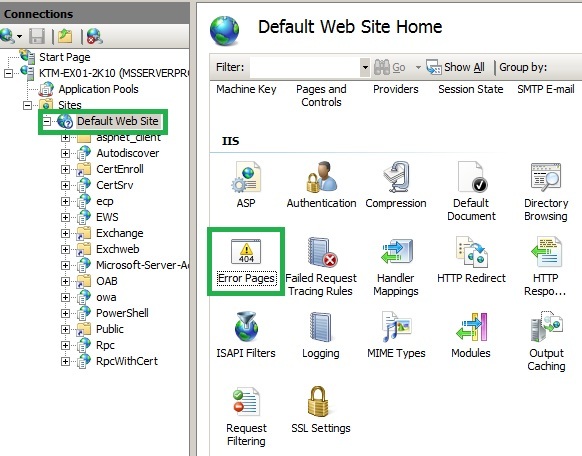 Let’s configure Exchange Server to access OWA, so users will simply have to type into the browser, mail.msserverpro.com instead of tying, https://mail.msserverpro.com/owa . 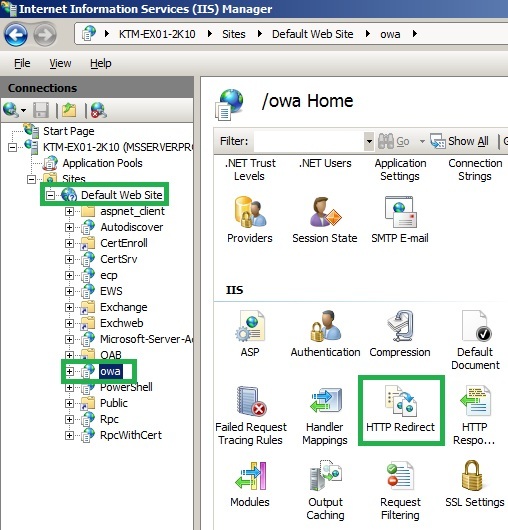 Follow these steps on the Exchange Server (Client Access Role Install) to configure this redirection. First configure https://mail.msserverpro.com to https://mail.msserverpro.com/owa . It leaves off /owa into the URL. 1. 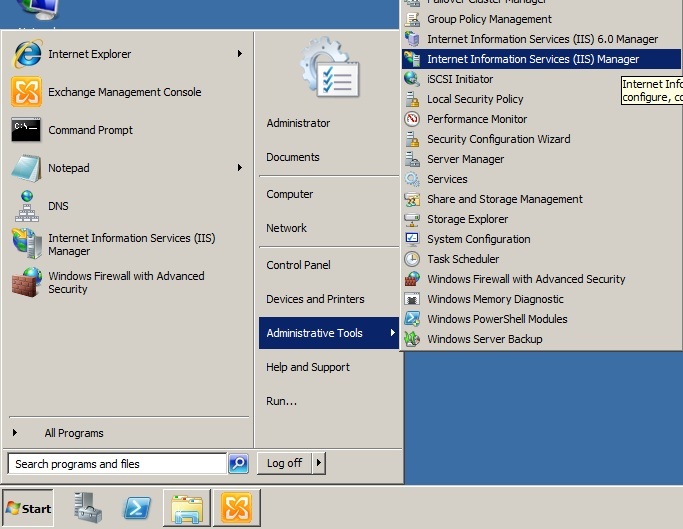 Open the Internet Information Services (IIS) Manager, Click Start, Administrative Tools, and Internet Information Services (IIS) Manager. 2. 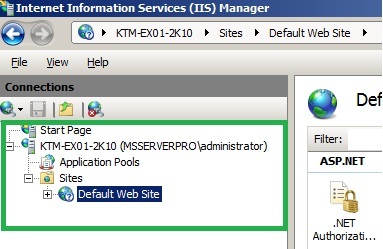 On the Internet Information Services (IIS) Manager console, Expand KTM-EX01-2K10 (MSSERVERPRO\Administrator), Sites and then click Default Web Site as shown in fig. 3. 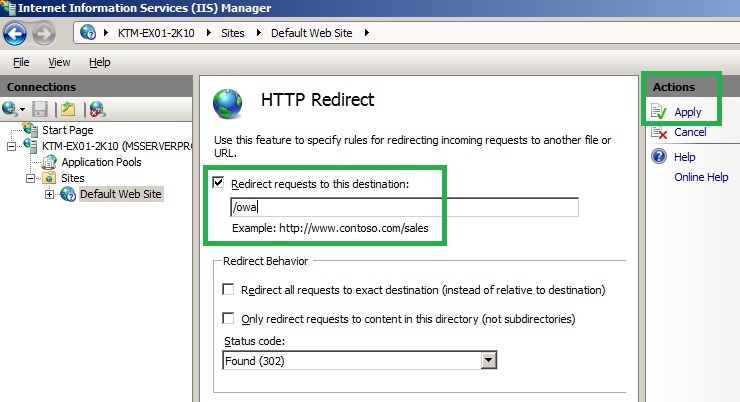 In the Work area, double-click the HTTP Redirect icon in the IIS section . 4. 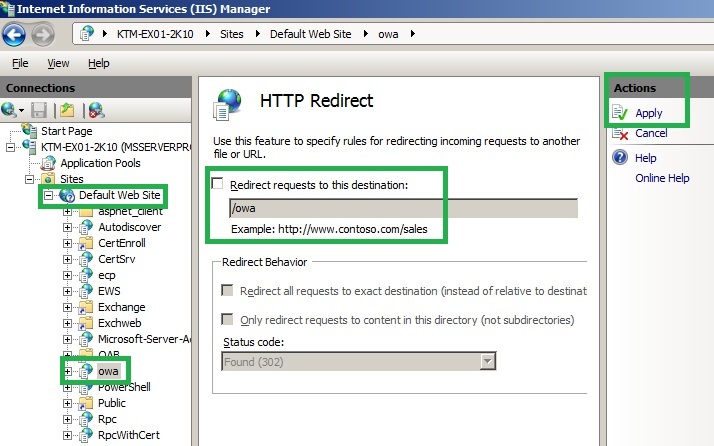 On the HTTP Redirect page, click checks Redirect requests to this destination, type /owa. Click Apply button in the Actions pane on the Right, The changes have been successfully saved. 5. 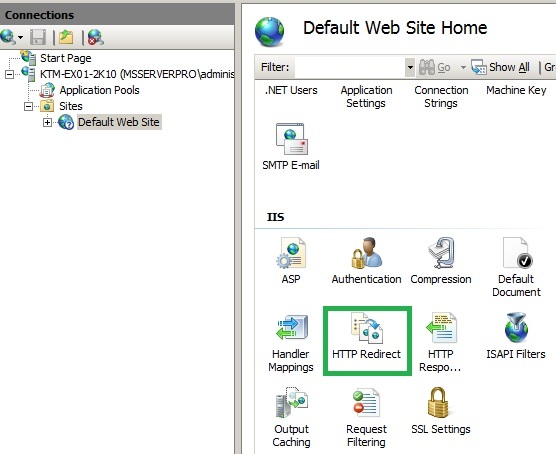 Browse to the Default Web Site, click OWA, and double-click the HTTP Redirect icon in the IIS Section. 6. On the HTTP Redirect page, click unchecks Redirect requests to this destination and Click Apply in the Actions pane on the Right. 7. 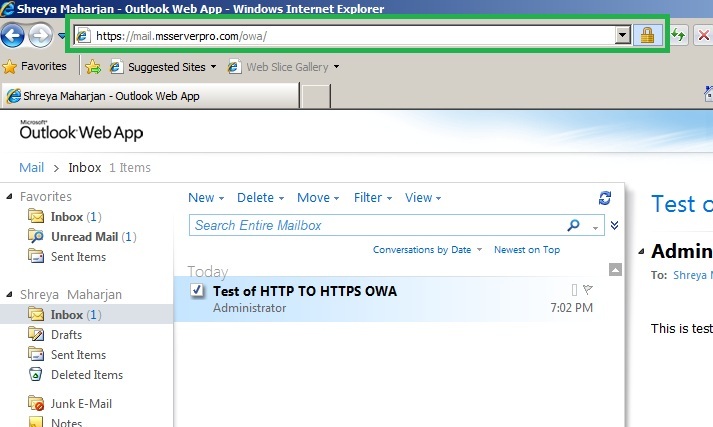 Now log on to workstations, Open the Internet Explorer, type https://mail.msserverpro.com . 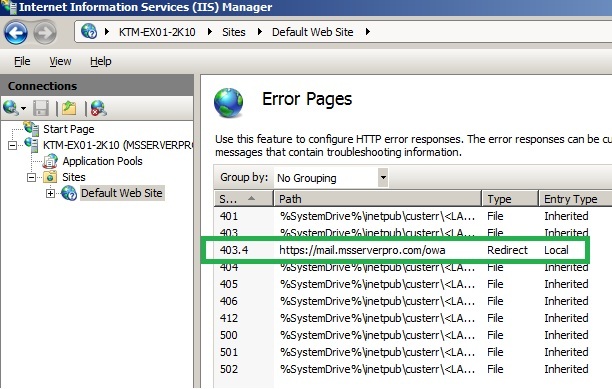 It should automatically redirect https://mail.mssserverpro.com/owa . 1. 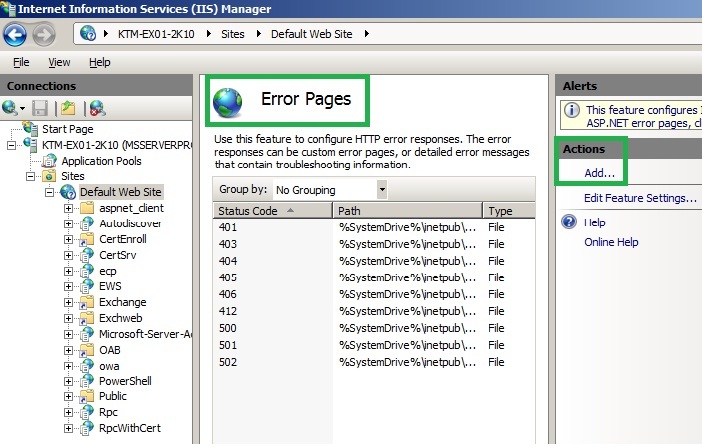 On the Internet Information Services (IIS) Manager console, browse to the Default Web Site; double-click on the Error Pages icon in the IIS Section. 2. On the Error Pages, in the Actions Pane, click the Add button. 3. In the Add Custom Error Page dialog box, type 403.4 in the Status code field. 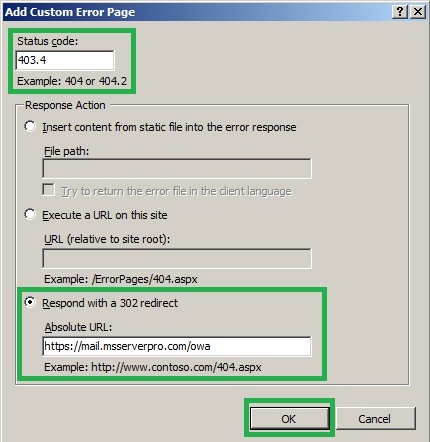 Click the radio button Respond with a 302 redirect, and then In the Absolute URL field, type https://mail.msserverpro.com/owa (Full HTTPS URL to OWA). Then Click OK.
4. Check the Error Pages dialog box and close. I hope this article will useful so that you can configure Exchange server for URL friendly Web Access. By the way how did u redirect https://mail.mserverpro.com/owa by just typing mail.mserverpro.com in Exchange server 2003. 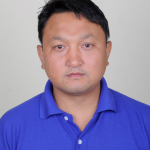 I have found some documents in Website. They provide some script. Even Microsoft has provided the script . But Microsoft script does not work. How did u implemet that one ? Do u have that script. In Exchange 2007/2010 it is easy . I will post this on my next article.